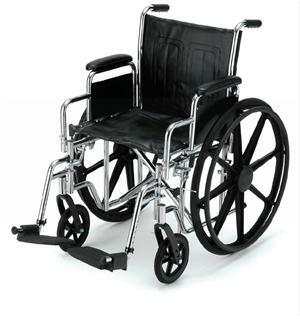 Wheelchair Description Detailed information on the product sold on this website regarding the basics of renting and buying standard wheelchairs can be found on the following link Standard Wheelchair Rental and Buying Guide. 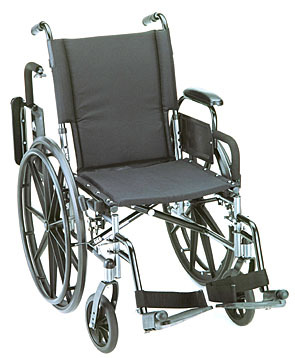 Manual or standard wheelchairs are propelled by the person in the wheelchair. 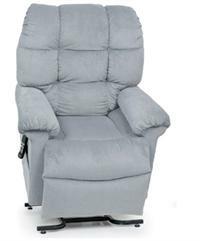 These chairs are characterized by having 2 small wheels in the front of the chair and 2 larger size wheel in the rear. These chairs are not not lightweight or maneuverable. 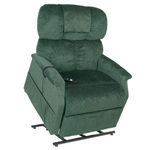 Rent to Own NEW Wheelchairs!